All the Mahindra and Mahindra enthusiasts across the country would be in for this amazing news, which is in the offing for them in the coming couple of months. This company which is the leading SUV maker in India is now getting ready to launch their latest vehicles across the country. Mahindra and Mahindra are expected to launch about 5 latest models in the coming months, which is surely a reason for cheer to all the company’s loyalists. This was stated by the president of the company, Mr. Pawan Goenka. The first vehicle to be launched would be a Minivan, which would be launched in the first quarter of the next financial year and will be a passenger car and not a commercial vehicle. The next in line would be a SUV Mahindra Rexton, which is from SsangYong who is their South Korean partner. This formidable SUV is being assembled at their manufacturing facility, which is based at Chakan in the state of Maharashtra. After this, the company is expected to launch the next generation Mahindra Reva NXR. This is an electric vehicle and is expected to be launched in the Indian car market by the second quarter of the next financial year. It is also expected that Mahindra Reva NXR would be one of the most remarkable vehicle to be launched by them. 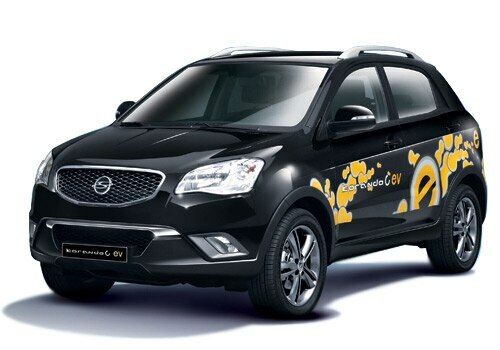 Mahindra and Mahindra’s partner SsangYong is also going to make its entry into the Indian Automobile Market with another SUV Korando C, which would come through the CKD route in the country. The 5th model is still in a nascent stage, but apparently it would be a sedan and is expected to be lesser than 4 meters in length. This car is expected to be launched in the Indian market by the end of the next financial year.